Particulate matter (PM) is one of six criteria pollutants regulated by the Clean Air Act. Last week, we told you about how the Division for Air Quality monitors for PM2.5 . You may recall that PM2.5 is a mixture of both solid particles and liquid droplets measuring 2.5 microns or smaller in size. Fine particulates can be emitted directly from a source, or they may form in the atmosphere when pollutants chemically combine. 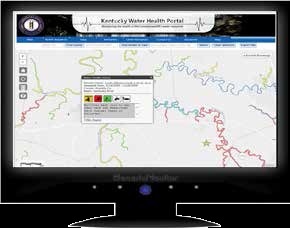 The Division for Air Quality (DAQ) uses air monitoring data to understand how clean the air is in Kentucky. Air monitoring is essential in demonstrating compliance with National Ambient Air Quality Standards (NAAQS). Think of a NAAQS – pronounced “nacks” – as a sort of “legal limit” for an air pollutant, established to protect human health and the environment. The Clean Air Act establishes NAAQS for six major pollutants: lead, carbon monoxide, nitrogen oxides, ozone, sulfur dioxide, and particulate matter. Particulate matter is further subdivided into two categories: coarse particles measuring 10 microns or less in diameter (PM10), and fine particles that measure 2.5 microns or less in diameter (PM2.5). Last week we told you how the division monitors for PM10. But that’s only half the picture. PM2.5 is of special concern because it has the ability to penetrate into the deepest parts of the lungs. Once there, these microscopic particles can cause chronic respiratory problems and lead to premature death. PM2.5 pollution affects everyone, but children, the elderly, and those with existing health problems are most at risk. DAQ environmental inspector Jennifer Brown points to a cylindrical magazine that holds sample filters inside a PM2.5 monitor in Somerset, KY.
PM2.5 is actually a mixture of both solid particles and liquid droplets measuring 2.5 microns or smaller in size. Fine particulates can be emitted directly from a source, or they may form in the atmosphere when pollutants chemically combine. Sulfur dioxide, nitrogen oxides, and volatile organic compounds are all examples of pollutants that can transform by chemical reactions. 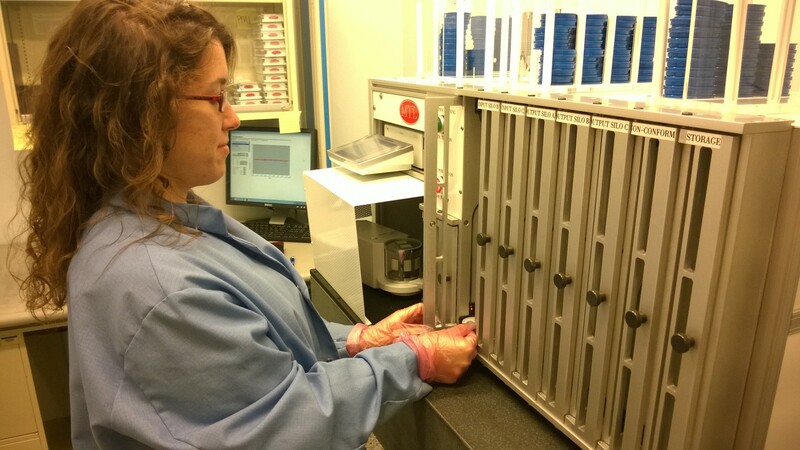 To determine compliance with the NAAQS, the division uses manual intermittent samplers, which collect an air sample over a 24-hour run cycle, typically once every three days (although some samplers operate every sixth or twelfth day.) These samplers operate by drawing a measured volume of air through a pre-weighed filter. Before reaching the filter, the air passes through an impaction chamber where larger particles fall out of the air stream, while particles 2.5 microns and smaller pass on to the sample filter where they are collected. Once the sample run is completed, filters are bagged and transported on ice to DAQ’s weigh lab in Frankfort. 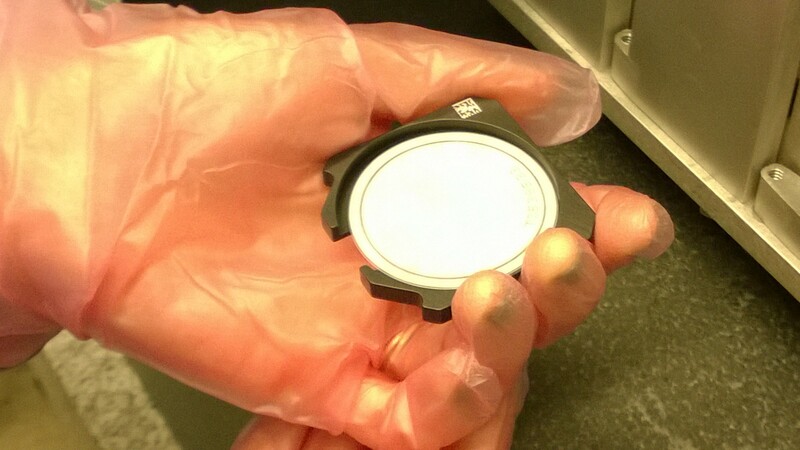 After completion of the sample run, the filter is removed from the sampler and re-weighed to determine the mass of the particulates collected. 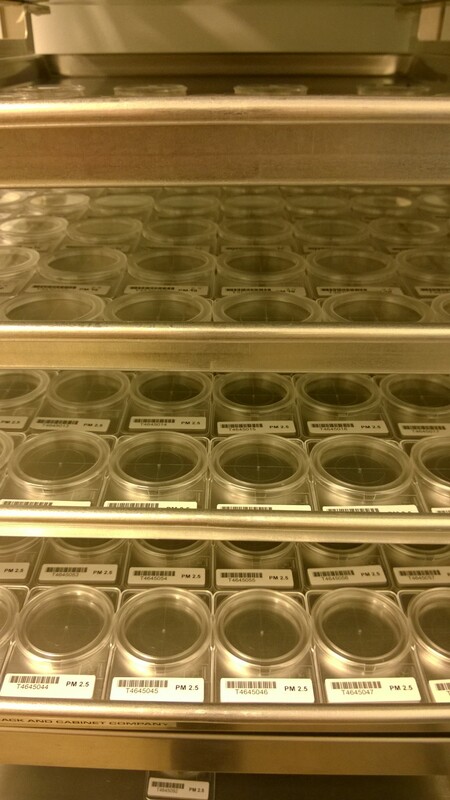 Once inside the climate-controlled weigh lab, PM2.5 sample filters rest in trays for a minimum of 24 hours to acclimate to environmental conditions before weighing. 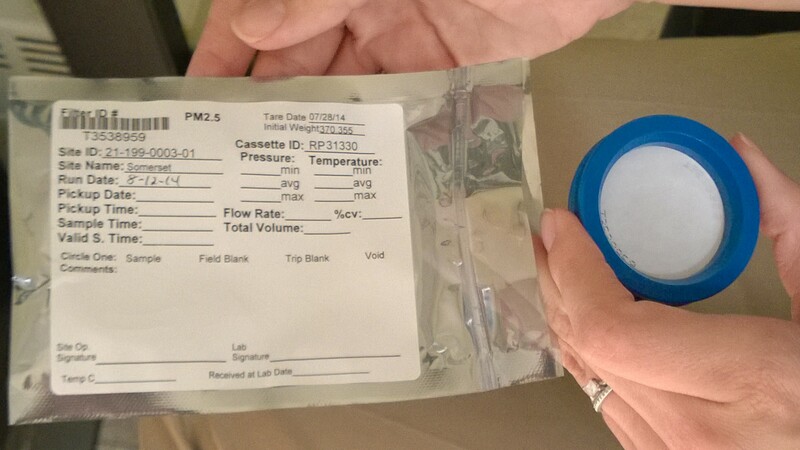 All filters are weighed gravimetrically (or by mass) both before and after sampling in the division’s particulate matter weigh lab to determine the amount of mass gained during the sample run. Prior to weighing, the filters must first be allowed time to acclimate to the environmental conditions of the laboratory. This filter is ready to be weighed. Notice the unique UPC code that tags all data associated with this filter. 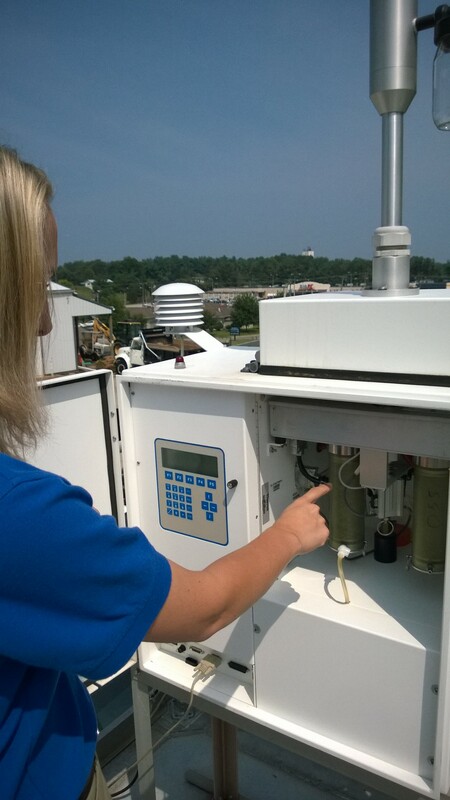 DAQ environmental technologist Ashley Bedel loads the filter into the autohandler for weighing. The actual weigh chamber can be seen in the background under the protective white draft shield. The weigh lab is operated by an analyst,who works with an automated weighing system called an autohandler. Think of the autohandler as a “robot” that enables multiple filters to be assessed within a single weigh session. Each filter is analyzed in accordance with EPA-approved methods and regulatory requirements. The temperature and humidity within the weigh-laboratory are monitored with National Institute of Standards and Technology (NIST) traceable equipment to document environmental compliance. 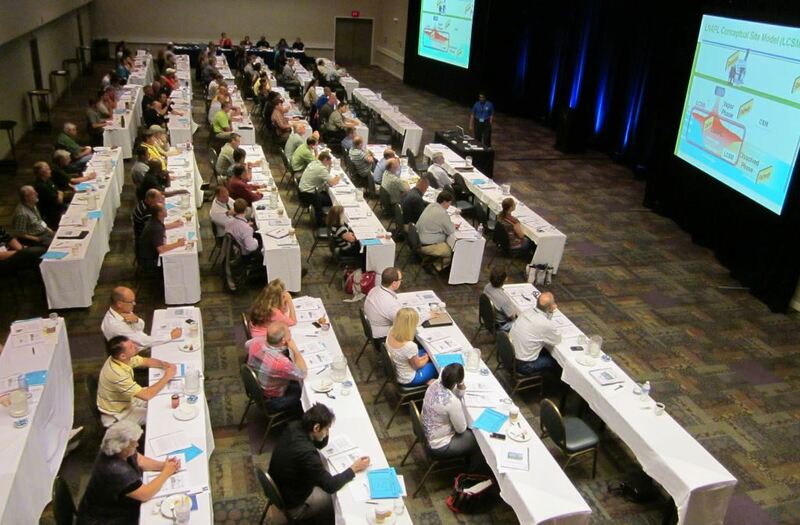 Environmental professionals recently attended a two-day training course in Lexington, Ky.
On May 29, 2014, the Kentucky Office of the Governor announced that the city of Pineville is the recipient of $2.2 million for completion of the Virginia Avenue sewer replacement project. The project will increase the city’s sewer system capacity and help decrease wastewater overflow into the Cumberland River.